The Aermacchi 350 Sprint was part of a joint venture with Harley-Davidson, created when H-D bought 50% of Aermacchi to help them compete in the small bike market. Originally a 250cc, the bike was also bumped up to a 350cc in 1969, and that bike had success in GP racing – including 3 years in a row where it took 4 of the top 10 spots in the Isle of Man Junior TT. So why would you want one now? In spite of their shortcomings, the Aermacchi singles are actually quite well made. They’re mechanically durable, easy to fix and frankly just about bulletproof. And because so many were (and still are) raced, parts availability is surprisingly good, and there’s a sound knowledge base on the Internet. Basket-case Sprints aren’t too hard to find, and even restored bikes still seem like good value. 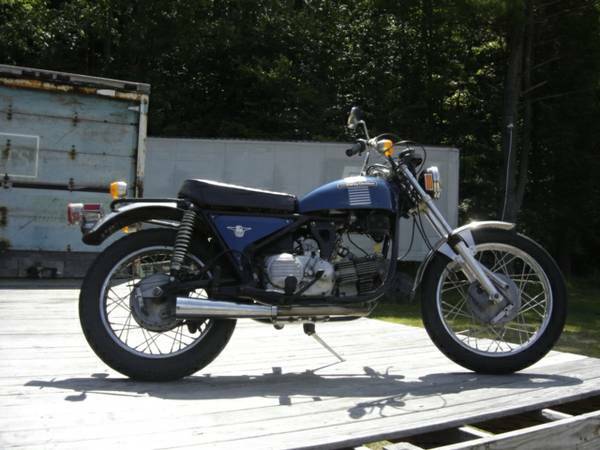 This specific Aermacchi Harley-Davidson 350 Sprint is claimed to be in good running condition – all the lights work and it looks like new. 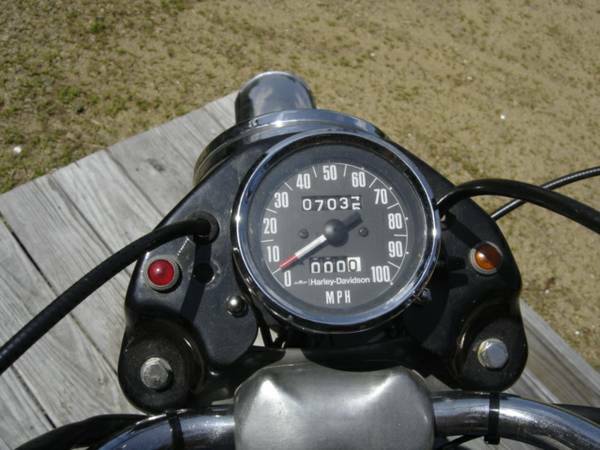 The odometer reads just 7,035 miles. 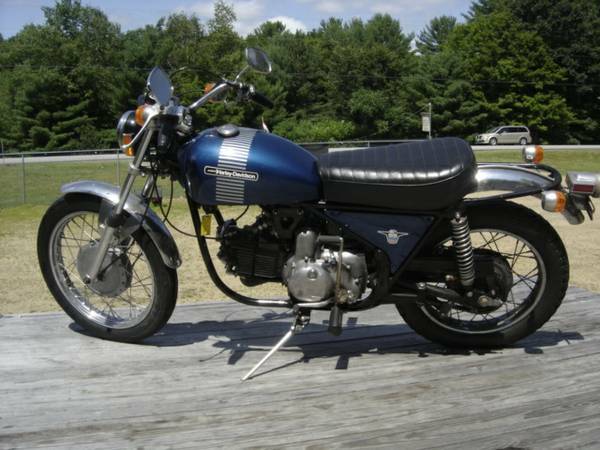 Find this Aermacchi Harley-Davidson 350 Sprint for sale here on Craigslist in Loudon, New Hampshire for $3,500. This bike-uriousity brought to you by Jim R!